Next week, 17 players from 5 different age groups within our academy are travelling to Arizona to compete in the prestigious Presidents Day Tournament. Last year, hundreds of Rush players throughout North America travelled to Arizona to tryout for a spot on the Rush Select Team for their age groups and 17 players from Rush Canada Academy were identified and selected to play on the team. These players will compete in two major events this year. The first event will be the PDT Tournament in Arizona which will be used a preparatory event for the upcoming events in Europe and South America. Check out some of the upcoming events below. 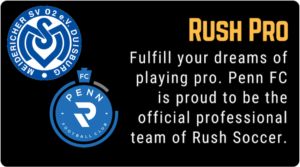 Not familiar with Rush Select? Learn more here. Good luck to our boys and girls participating in the event next weekend! Stay tuned for more updates and results during the tournament. 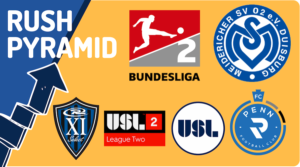 No Replies to "Rush Canada Players Prepare for Presidents' Day Tournament Next Week With Rush Select"